A front-end estimator is nothing like you’ve ever seen before: It’s real time automated quoting, fully skilled as an MIS – and instant as a web-to-print. It’s arifiQ. 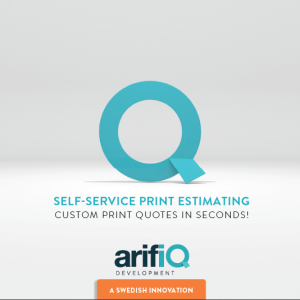 arifiQ is a comprehensive, full-scale estimating system that delivers complete quote accuracy. Detailed calculations are provided for every operation, with exact labor and material cost. The simple, easy to use interface allows print providers to offer arifiQ access to anyone who may want to get quotes and place orders at their own convenience. arifiQ uses an intelligent calculation algorithm that automatically creates optimized production scenarios. Whenever one of the parameters changes, the most cost-effective price is instantly re-calculated and presented. Digital, offset, webfed print and large format: – arifiQ’s powerful calculation engine handles countless combinations of print products that is possible to produce. Print Providers benefit from arifiQ’s advanced design by automating the quoting and production planning process. 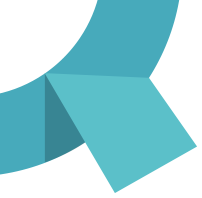 arifiQ solves even the most complex quote calculations, eliminating the need for anyone to “go over the numbers”. With arifiQ you don’t have to do anything but wait for the orders to come in!